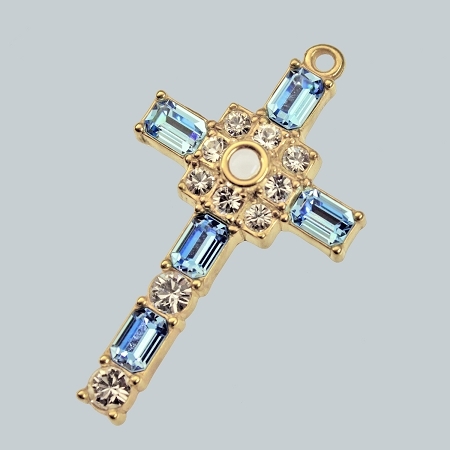 Our sparkling and elegant Grace cross pendant is a timeless design featuring beautiful deeply transparent Aquamarine blue octagonal cut and clear round cut Swarovski crystals. 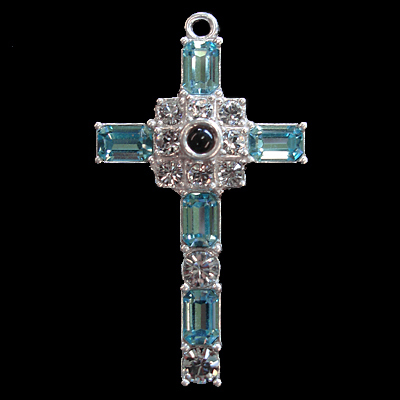 Aquamarine is a popular birthstone for March. This 1/4 ounce Solid .925 Sterling Silver setting is accented with our ultra-high resolution stanhope picturelens. 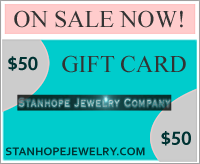 The back of the pendant is detailed with the Stanhope Jewelry name circling the lens and is stamped .925 silver. 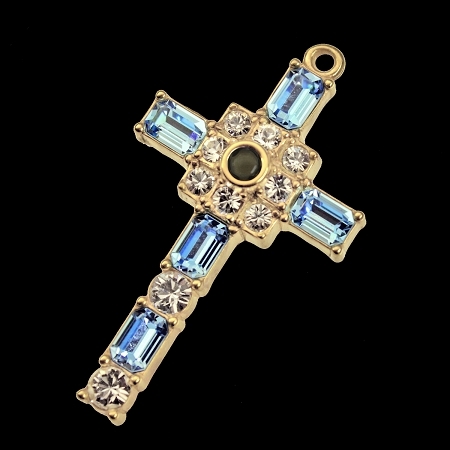 A peep inside the stanhope center reveals the crystal clear image of your choice or to personalize your Grace cross, upload your own favorite photo. You can also add your own custom message or title. You may also select to add a chain in various lengths. Nicely packaged in a gift box and arrives with a gift bag with tag. Made completely in our workshop in the USA.